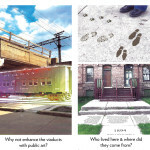 As part of the ongoing preservation efforts surrounding the South Side Chicago neighborhood of Pullman a print and online book has been released reporting the results of a workshop conducted by AIA Chicago and the National Parks Conservation Association (NPCA) in April 2015. 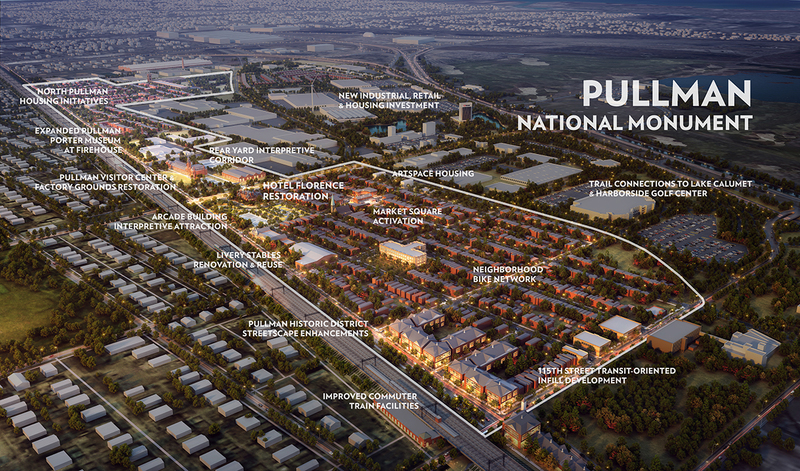 Positioning Pullman gives a history as well as a possible way forward for the once flourishing company neighborhood, which has recently been designated a national monument by President Barack Obama. 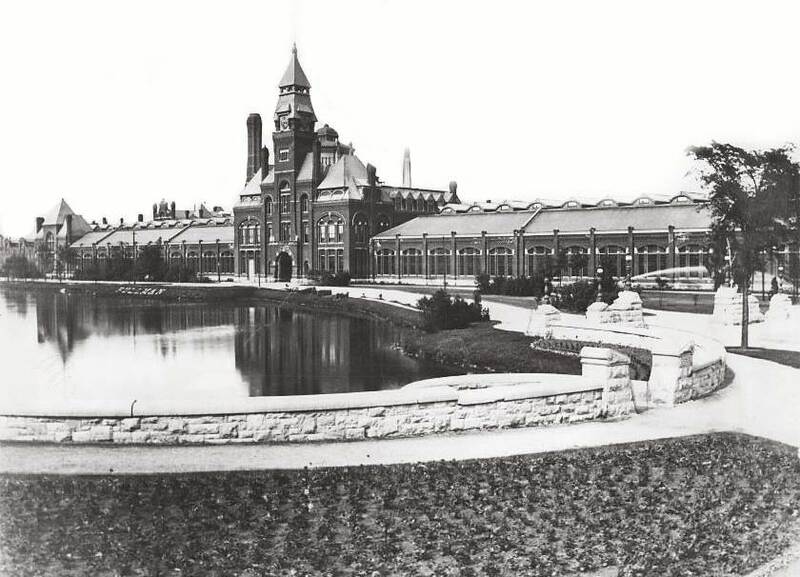 The Pullman neighborhood, once an independent town, was founded by George Pullman in the 1880s to house the workers and their families, of his luxury sleeping train car company. 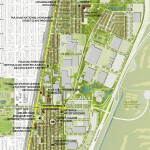 The town, a socially and technically progressive experiment, was designed by architect Solon Spencer Beman and landscape architect Nathan F. Barrett. The community would become a symbol of the industrial revolution and its efficiencies and advancements, as well as its labor tribulations. 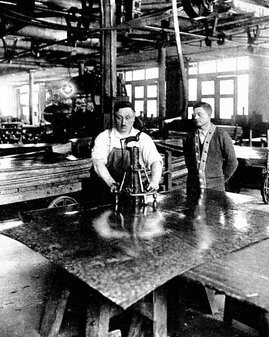 Pullman would be the site of multiple national policy changing strikes as well as a center for the unionizing movement of the early 20th Century. With the decline of rail travel the company would fold by the late 1960s, with only the name living on as spin off companies into the 198’s. The town’s population and its buildings would quickly decline with the company, but a group of community organizers would save the city from total demolition, eventually leading to its landmark, and now national monument, status. The April ideas workshop, and subsequent publication, was charged with outlined a plan to preserve the historic neighborhood, as well as set out guidelines for improving the entire historic site. 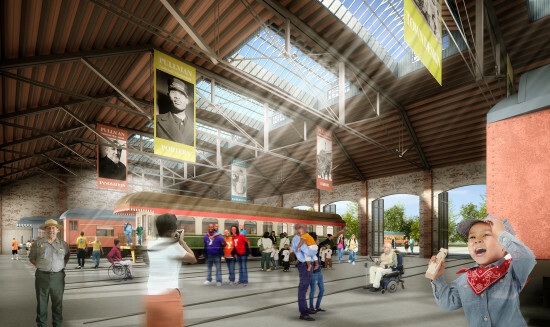 The workshop was divided into four teams—Park Experience, Historic Preservation, Access and Connections, and Community Development. 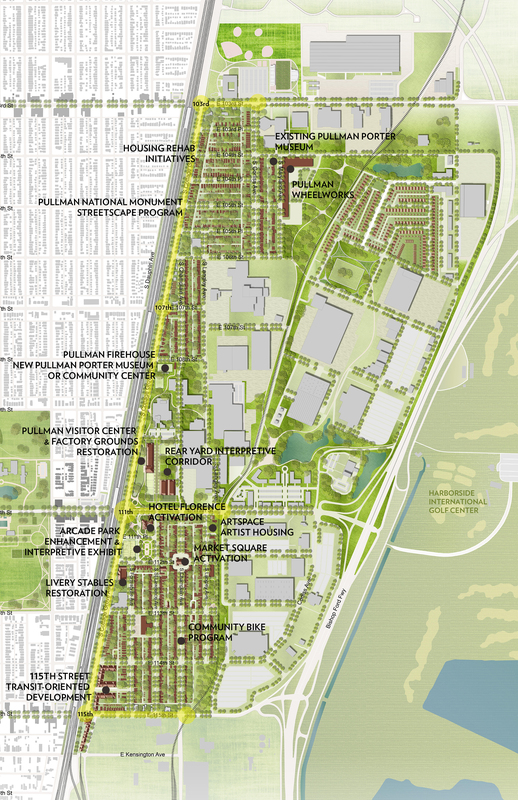 The teams, organized by AIA Chicago and the NPCA, included architects, landscape architects, city planners, economist and engineers. Community involvement in the front and back ends of the workshop informed and tested ideas on the very people that would be most affected by the neighborhoods development. 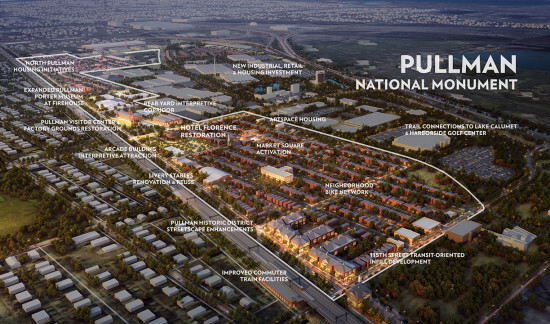 That development includes the adaptive reuse of historic buildings and sites, new construction, proposed transportation infrastructure and intensive preservation efforts throughout the area. In the next few years the improvements to accessibility, infrastructure, and public amenities, aim to accommodate an expected 300,000 visitors a year. The workshop and publication were supported by The Richard H. Driehaus Foundation, Chicago Community Trust, and Alphawood Foundation. Ideas from the Positioning Pullman workshop for telling the story of Pullman through public interventions. Courtesy Adrian Smith + Gordon Gill Architecture. 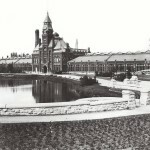 Historic Image of the Pullman Administration building. One of the few factory buildings still standing. 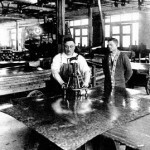 Illinois State Archive. 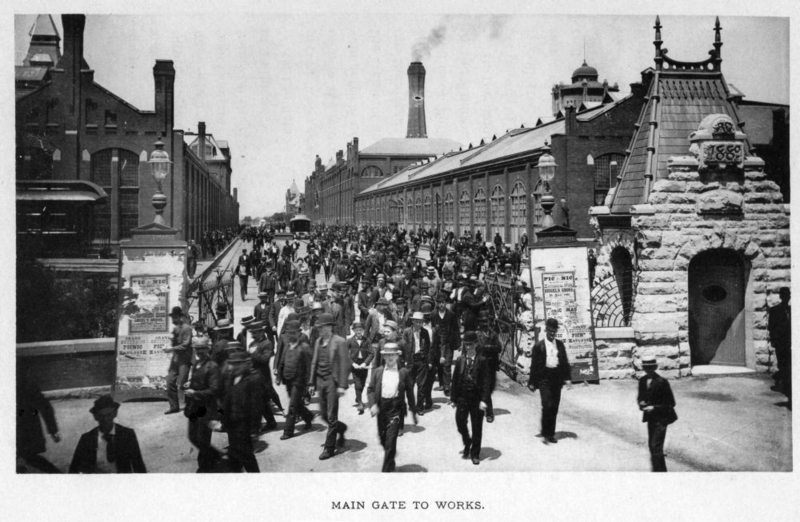 Workers leaving the main gate of the Pullman factory. 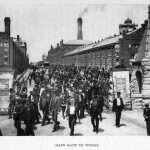 Illinois State Archive.